On a daily basis, there are certain things I rely on to keep me sane/less frantic/better. Black yoga pants. The SAHM uniform. I'm no exception. My Laptop. For all my very, very important [distractions] writing and networking. Luna Bars. * Preferably the Peanut Honey Pretzel, Vanilla Almond, or the harder-to-find Peanut Butter Cookie flavor. The Best of the Wiggles CD. A must for longer car rides (with children). Sam Adams or Blue Moon Seasonal Variety Packs. A surprise party in your fridge. Mum-Mums. To quiet a fussy or teething baby. Z Bars. To quiet a fussy or teething toddler or preschooler. We keep a stockpile of these for times [often] when my son won't eat anything else. 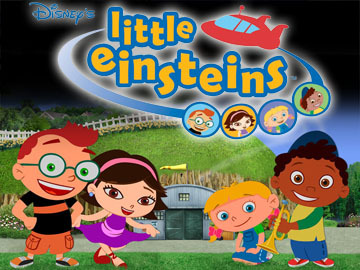 Little Einstein's Mission Celebration DVD. Not going to lie. This DVD has saved my sanity more than a few times. Undereye Concealer. Need I explain? My Kindle. I love reading, and I never thought I'd give up actual books, but I'm hooked on Kindles. (Bonus: The free preschool apps are perfect for travel or quiet time!). Nars The Multiple Color Stick. Helps me look like a shadow of my former self. Expensive, but it lasts forever. Dark Chocolate Mini Reeses cups. No words, people, no words. What are some of your sanity-savers? Please comment and share! *(None of these products are sponsored. They are just good). Take a second to click the "Top Mommy Blogs" button on my blog to help me grow my audience.